1. 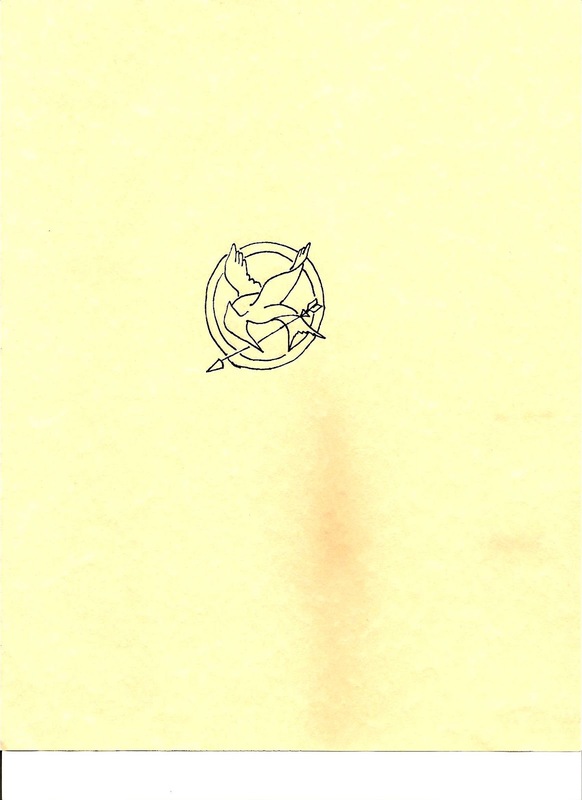 Print the mocking jay pattern full size or any size you like. Place the graphite paper between the pattern and the watercolor paper. Transfer the pattern to the watercolor paper by going over the lines with a stylus or dried ink pen point. 2. Using a small paintbrush, color in the pin with the gold metallic paint, staying within the lines. Let dry. 3. Use the pewter metallic paint to shade and outline the pin. (See photos for step by step) Let the paint dry completely. 4. Use the small paintbrush to spread a thick layer of dimensional paper glaze on the areas where you painted. Don’t worry if some gets outside the lines since you will be cutting around it when it has dried. 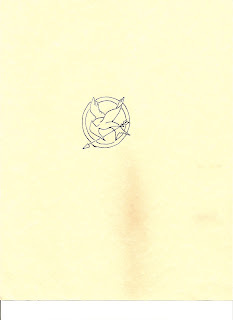 Don’t put any paper glaze on the background area; this will slightly raise up the mockingjay and make it dimensional. Let dry. Drying time depends upon the humidity and how thick a layer of glaze you have added. Add another coat of paper glaze and let dry. Allow to dry between coats. 5. With the small scissors carefully cut around the pin. Put a dab of tacky glue on the back and add a pin back. Let dry. Show your support for Katniss and friends and wear with pride! Very cool! I have never heard of dimensional paper glaze!